Let's put it all out on the table: a glass table! 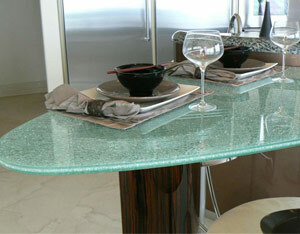 Custom Glass Specialties offers innovative, custom table glass that adds a degree of class to any room. We don't simply design functional tables. Instead, we bring style, elegance, and personality to your home or business spaces. Turn the tables on your worn-out table ideas, and trust our table glass company in San Diego, California, for fresh concepts. It's just a table, but it can dramatically impact the ambiance of your room. Why be ordinary when we can create custom table glass that accents your décor and adds a sophisticated look? Any style, any size, and any shape. The team at our table glass company knows how to ensure your glass tabletop enhances the aesthetic appeal of your space. A good reputation is important in any profession. You wouldn't go to a dishonest mechanic or visit a doctor with a lousy bedside manner. The same is true when choosing table glass companies. It is important to consider their qualifications, their reputation, and their years of experience in the trade. At our table glass company, we are proud of the excellent reputation we have in the community and with our customers. At the same time, we are a fully licensed, insured, and bonded company that has served the greater area for more than 26 years. 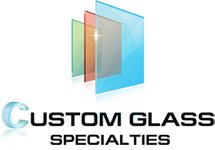 Depend on us when you want the best custom glass and mirror products in your home or business. Contact us if you want custom a glass tabletop at your business. We proudly serve residential and commercial customers in San Diego, Chula Vista, Carlsbad, Rancho Bernardo, and Mira Mesa, as well as the surrounding areas.